Life After Glitch? Form a Virtual Band. Ever been in a restaurant and found yourself entranced with the unfamiliar music playing on the stereo system — a glistening, lightly rhythmic piece of ambient pop — only to learn that it's a scratched CD of Chinese folk tunes or an old Whitney Houston album skipping from one nanosecond snippet to the next? If so, you are indirectly a fan of glitch. The genre was founded, in large part, on albums by the German act Oval, originally a group but eventually just Berlin-based Markus Popp working on his own. Popp made his reputation by breaking music. 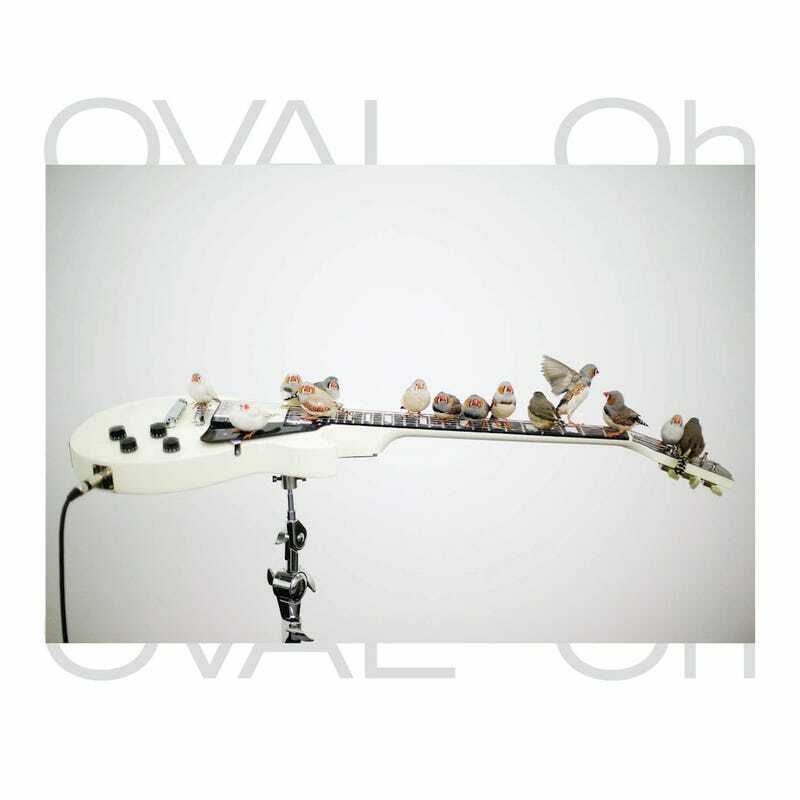 On Oval albums, the sound of malfunction was explored for its inherent beauty: slivers of noise, ripe sonic artifacts, and chance collisions. And then Oval switched gears. Perhaps he'd gotten lonely, because beginning with the Oh EP in June 2010, he made music that at times sounded very much like a band, in particular like the post-rock acts Battles and Tortoise, or moments of splendid squalor from Pavement's indie-rock catalog. The music on the Oh EP maintains the shimmer and bright cacophony of Oval's glitch, but employs digital facsimiles of tightly wound guitar strings and drum sets in place of smudged compact discs. The album's cover depicts a work by sound artist Céleste Boursier-Mougenot. Album available for download ("name your price," which for the time being includes free) at oval.bandcamp.com. It's the most recent of 12 albums (of varying vintage) that Popp has posted at his Bandcamp space, dating back to late-1990s glitch work like Dok and Szenariodisk. More on Oval at markuspopp.me.